Observation - Aquatic larva - UK and Ireland. Description: A woodlouse sized larva found on the underside of a semi-submerged rock in a fast flowing, clear, limestone stream in the Cotswolds. 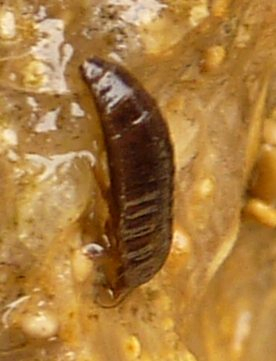 A woodlouse sized larva found on the underside of a semi-submerged rock in a fast flowing, clear, limestone stream in the Cotswolds.